More than 150 delegates attended CEPA EXPO 2016 and witnessed some of the most forward looking presentations seen at the event so far. 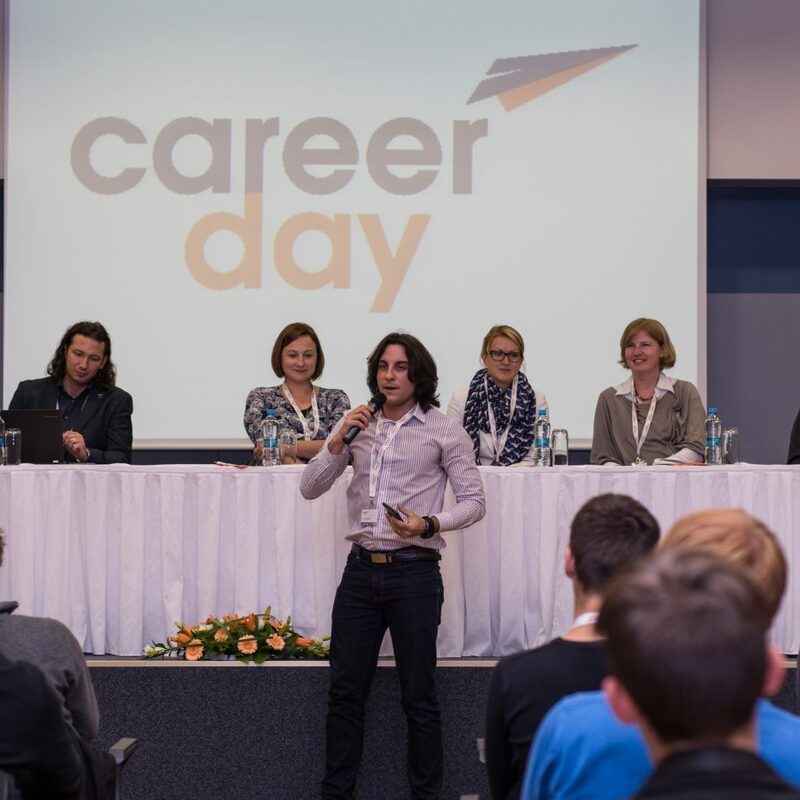 Proceedings got underway on Tuesday with the brand new Career Day. This innovative concept attracted 120 students all eager to find out more about the business aviation industry and the career opportunities it can offer. Many business aircraft operators were present to demonstrate that business aviation is not just about being a pilot, there are career opportunities in all sectors of the business. Day 2 of CEPA EXPO saw formal proceedings get underway with a whole raft of future looking presentations on many aspects of business aviation. Highlights included presentations on Finance, the need for regulation of drones, what the future holds for on-demand air mobility and cyber crime. Another new development for this year is that two separate workshops took place with RUBAA advising on all aspects of business aviation in Russia and JAA on the subject EASA Air Ops. Presenter Gert Janse from JAA gave an intensive review of the latest EASA developments and condensed what is normally a 3-day event into just a few hours. With plenty of group participation all delegates who completed the workshop were presented with a JAA- EASA AIR OPS certificate. The day came to a close with one of the high points of CEPA EXPO a gala dinner at SaSaZu restaurant. This gave delegates the opportunity to not only enjoy delicious food in convivial surroundings but also compete in the number of food related competitions. The final day of CEPA EXPO shifted the focus of presentations on to the future of business aviation and insured the event came to a logical conclusion. The main presentations looked at the future of business aviation, future trends in dealing with people and market forecasts for business aviation in Central and Eastern Europe. As delegates departed they had many things to think about and help move their business forward.